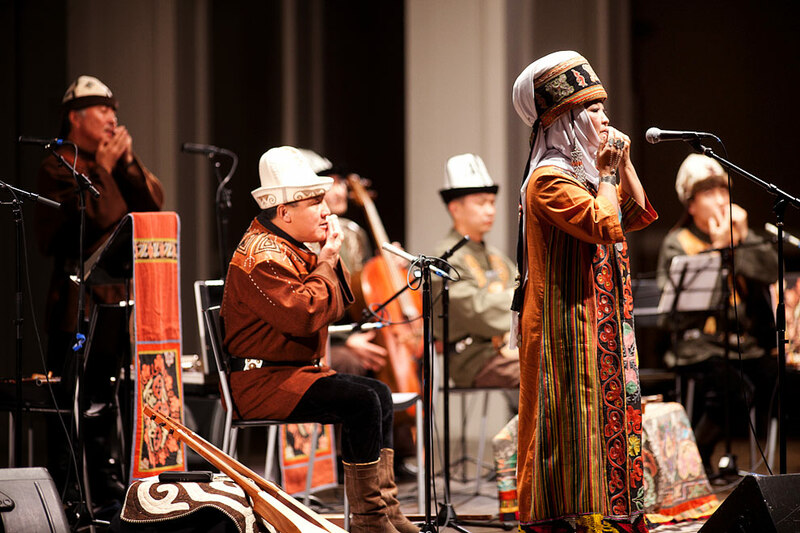 The Earshot Jazz Festival and Town Hall’s Global Rhythm series last night presented Ordo Sakhna, a folklore group at Town Hall, and offered a rare glimpse of Kyrgyzstan, their native land. The best way to appreciate the art of Ordo Sakhna is to take a closer look at where they come from and under what circumstances they work. 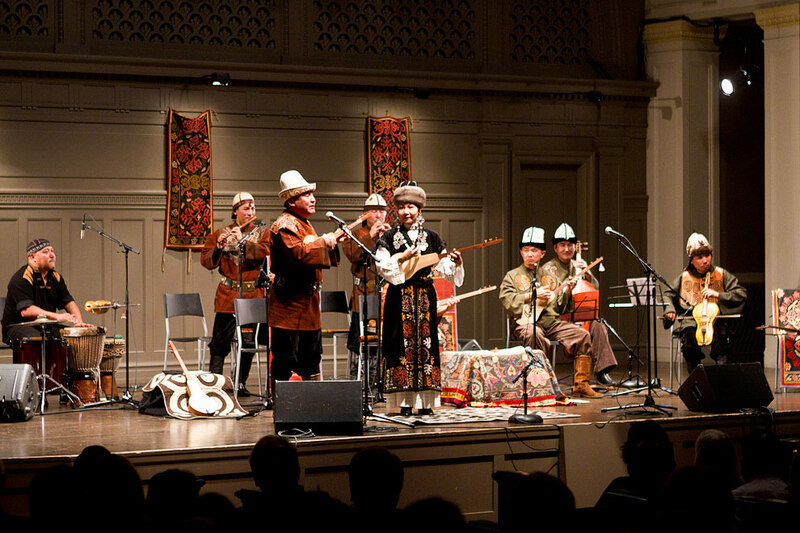 Kyrgyzstan is a small, mostly Muslim country of about five million in Central Asia. For most of the 20th century it was within the borders and influence of Soviet Union. With the disintegration of the USSR came Kyrgyz independence and natural post-Soviet challenges. In American media Kyrgyzstan is an occasional minor news story about what actually is a major U.S. military support operation. Kyrgyzstan is U.S. military’s last major transportation hub before Afghanistan. Kyrgyzstan is leasing out a former Soviet air base to the U.S., bringing a steady cash flow into struggling Kyrgyz economy. Recent events did not shine a kind light on Kyrgyzstan. There were violent clashes between various groups, vying for limited economic opportunities. But beneath the complicated layers of local and usually corrupt politics, lies an amazingly rich cultural tradition that has been nurtured since the 5th century.